True story: On a recent cruise, all but one of my passengers were here for just four days. After just two hikes and two snorkels, these passengers made very clear that they had seen enough sea lions, iguanas and blue footed boobies to last a life time. They even asked me to stop teaching and briefing them. With both reluctance and sadness, I complied. I was reluctant because I had so much I wanted to share. I was sad because I hated that they chose to take a narrow view of their time here and did not want to take full advantage of their experience. In that moment, I consciously recognized that for all of these passengers, this vacation was on their "bucket list." 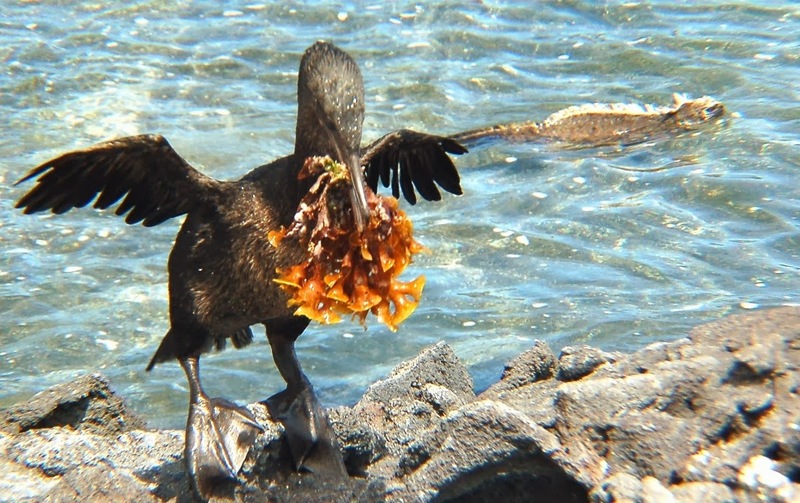 So, when USA Today reported that the Galapagos Islands are a bucket list destination for many people, the story resonated with me - and not necessarily in a good way. On the final morning we had one last excursion planned. But, because we also had to catch a plane at 10 a.m., the excursion was scheduled for 6 a.m. with a 5:30 wake up call. Only two people went on the panga; the rest had seen enough, they told me, and were not interested in waking up early. As far as they were concerned they had " been here, done that." Their heads were on the plane home and preparing for the next trip on the bucket list. What a shame. What they missed that morning was extraordinary - truly something special. The three of us who went on the adventure, along with our panga driver, had a spectacular experience. We saw a magnificent sunrise. There was an enormous school of tuna fish and they rippled in huge wave-like formation under the water right beneath the panga. The tuna were searching for food. Blue footed boobies, also sensing a delicious breakfast from above, engaged in dive bombing activities all around us. 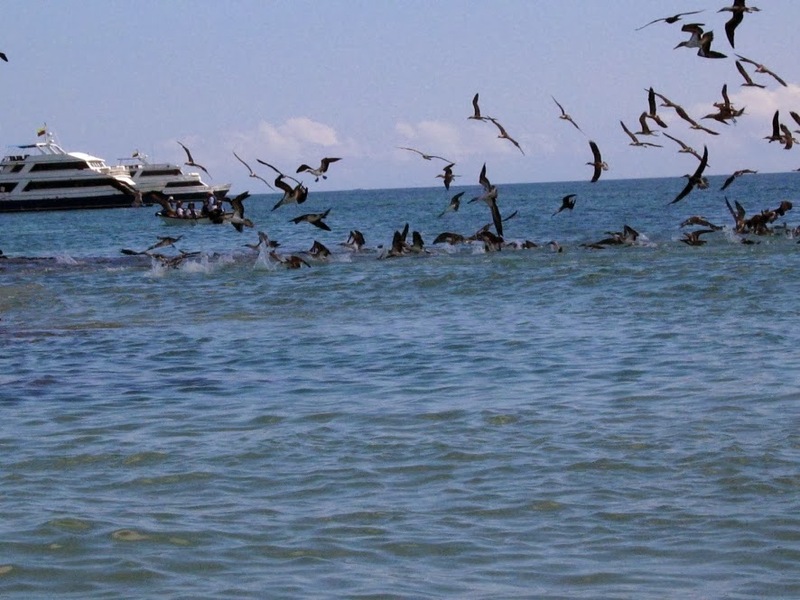 Brown noddies, equally aware of the "good eats," joined in the fray. On the shoreline, sea lions were just waking up in to the early morning warmth. And we saw as many rays jumping out of the water as I've ever experienced before. By the time we returned to the cruise ship, we were utterly exhilarated. The early hour meant nothing at all. The two passengers with me left on a high note. There's a lot to learn from this experience. You can put something on a bucket list and just check it off. 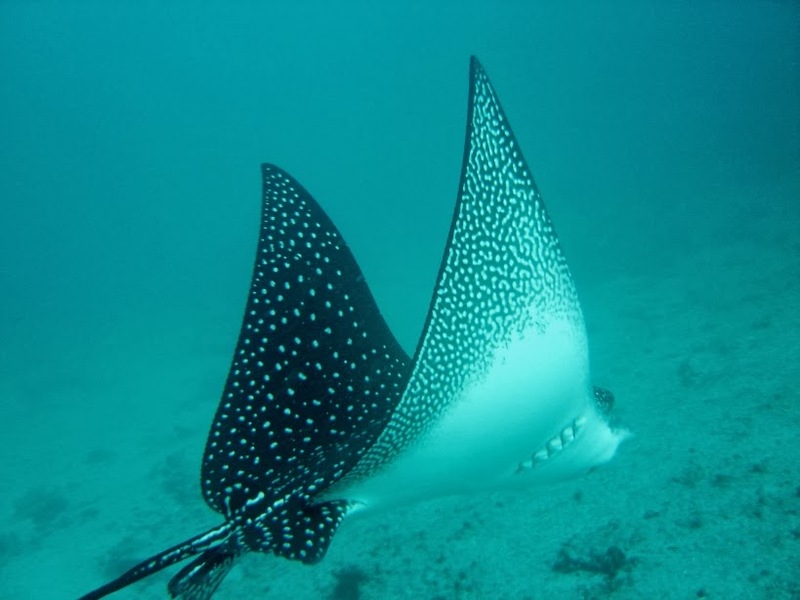 But, if you do that, you may find yourself, as my passengers did on that occasion, missing the real reasons for coming to the Galapagos Islands. It seems to me that approaching this, or any, vacation as a check mark on a list of things to do before you die, might just cause you to sacrifice the best part of the experience. 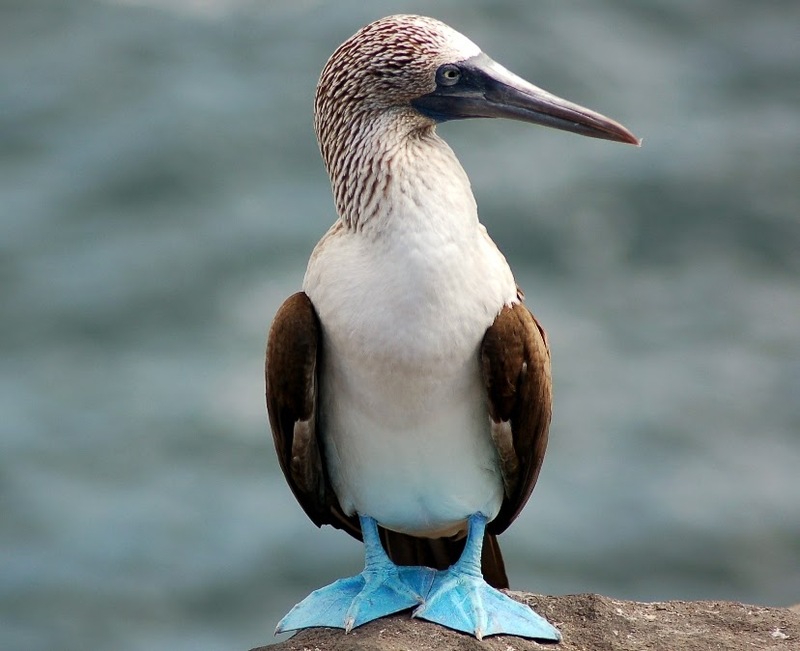 So, if you have a bucket list and the Galapagos Islands are in your top ten, then also take advantage of these ten tips for seeing the Galapagos Islands and making the most of your time here. 1. Wake up early and experience the sunrise. 2. Go to the upper deck of your cruise ship at 6 in the evening and absorb the sunset. 3. From your private balcony, notice that you aren't the only creature riding the waves. 4. Recognize those little sea lion pups for what they are - not just adorable - but species evolution as envisioned by Charles Darwin himself. 6. Jump into the warm Pacific Ocean for a swim. 7. Remember to ask yourself why a penguin who's supposed to be on an ice floe in Antarctica is on the Equator. 8. Look at the colors around you and experience them like never before. 9. Look up at the sky in wonder. 10. Never ever stop asking "Why?" and looking forward to your next adventure. This little guy is just starting his life unjaded. Wish the same for yourself. Never take the world around you for granted. 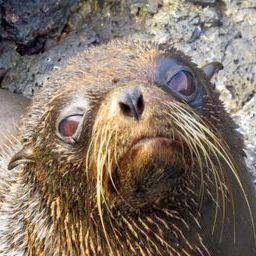 Join me at the Galapagos Eco-Lodge so that I can show you the time of your life. I will take great joy in opening your eyes to a once-in-a-lifetime adventure. Definitely! 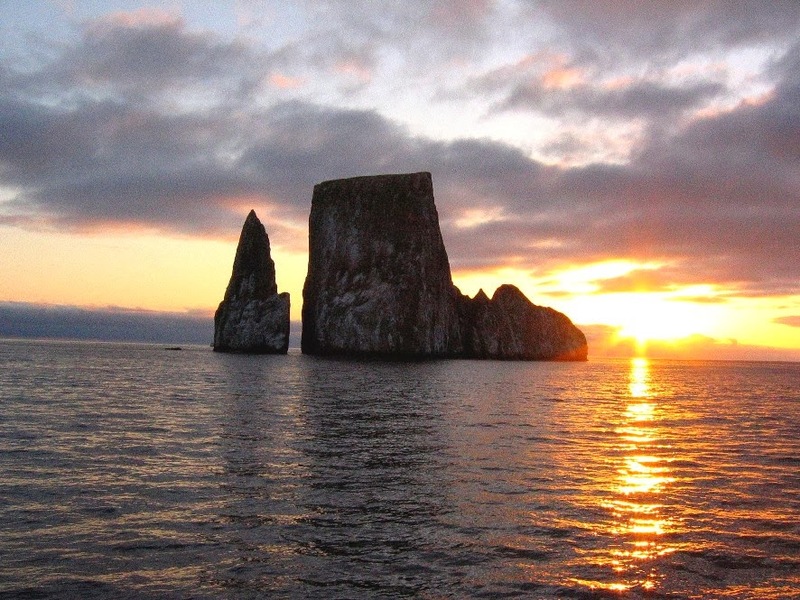 The Galapagos Islands are a stunning attraction as Sea Life Park. I went there with my cousin before my recent hawaiian tours. It was an amazing experience to know about the sea lives. For me; the most attractive thing was to see the Galapagos Whales.